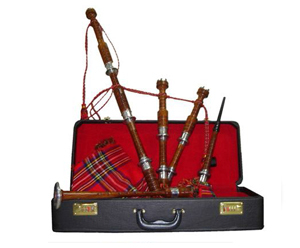 Bagpipe Set - Rosewood with plastic mounts. Beginner bagpipe set from Pakistan. 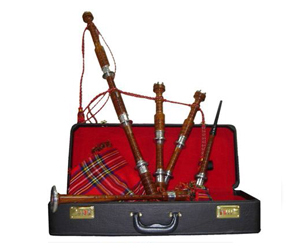 Bagpipe set-black cocusw imit/iv mount. Beginner set, ebony mounts. Set of full sized bagpipes in cocuswood. Full aluminium mounts. Leather 'bag' covered in Mackenzie tartan. Includes spare set of reeds and drones. Bagpipe Set - Ebony with imitation ivory mounts. Supplied in a case. Beginner bagpipe set from Pakistan. Advanced set of full sized bagpipes in black ebony. Imitation-ivory scrolls, caps and ferrule. Engraved nickel silver thistle design. Deluxe leather 'bag' covered in Mackenzie tartan. 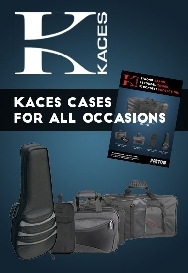 Includes spare set of reeds and drones and supplied with a hard case. Bagpipes - miniature toy set. Well-made magnet of miniature instrument. Nicely replicated to detail. Practice Chanter - Rosewood with aluminium mounts. Made in Pakistan. Bagpipe practice chanter blackwood engraved. All our Chanters are hand made from African Blackwood. 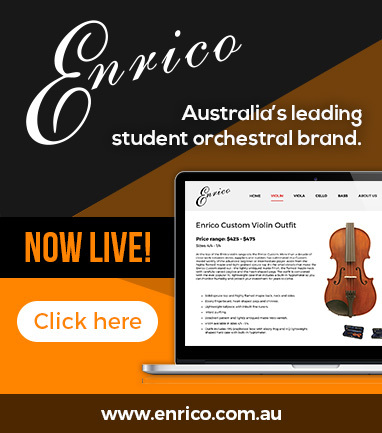 They come complete and ready to play with counter sunk finger holes for ease of playing. Practice Chanter - Cocuswood with imitation ivory mounts. Made in Pakistan. Practice Bagpipe Reeds - Plastic. 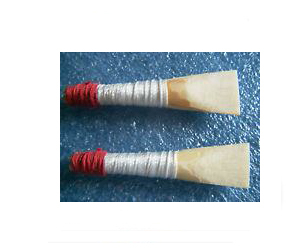 Plastic reed for Practice Chanter. Made in Pakistan. Zippered nylon gig bag for bagpipe 24x6x6 inch. Fits set of full size bagpipes. Heavy canvas style padded material. Hardie Set of 3 drone reeds - 2 tenor & 1 bass for Bagpipes. Made in Scotland by R.G. Hardie & Co.
Bagpipe/march band seat stick - aluminium.